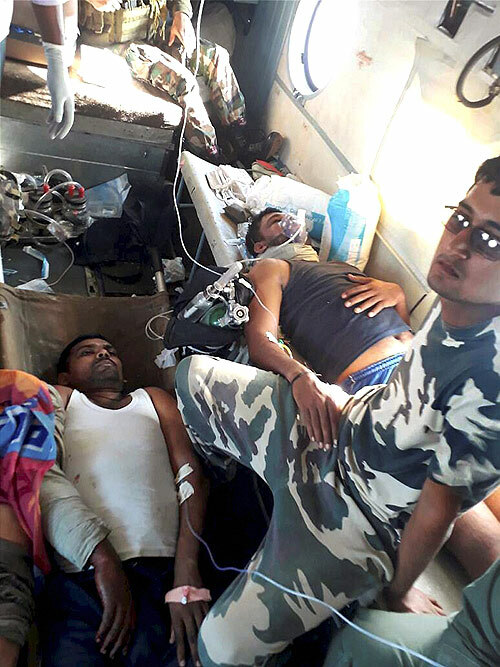 Injured CRPF being brought to Raipur for treatment follwing a Maoist attack at Burkapal near Chintagufa in Bastar. 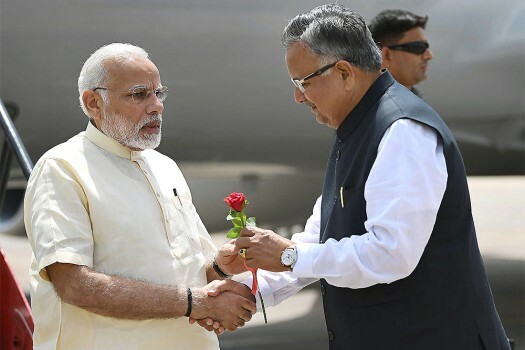 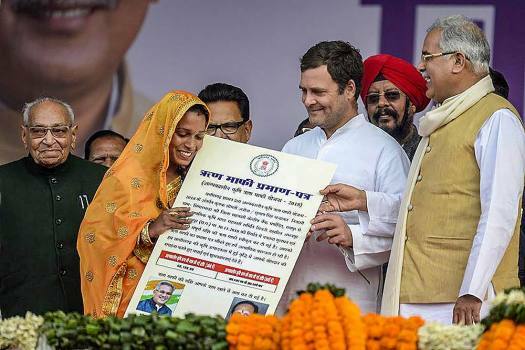 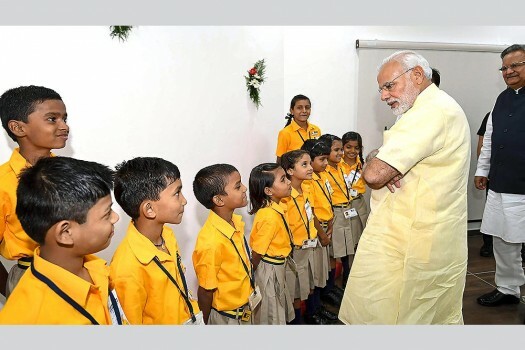 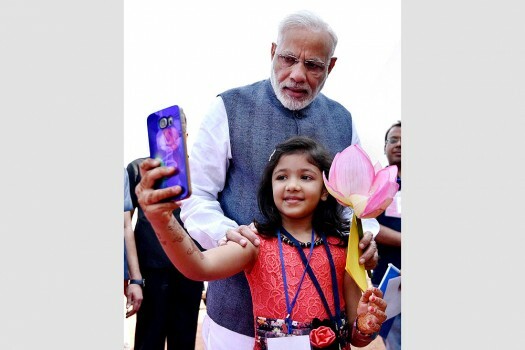 Prime Minister Narendra Modi shares a selfie moment with Devanshi who had won a local chess tournament and had expressed a desire to meet Prime Minister, in Naya Raipur. 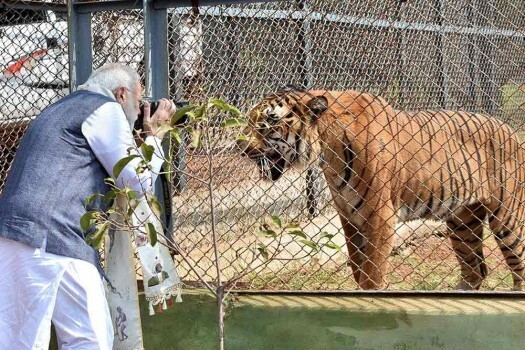 Prime Minister Narendra Modi taking picture of a tiger during Jungle Safari at Nandan Van, in Naya Raipur. 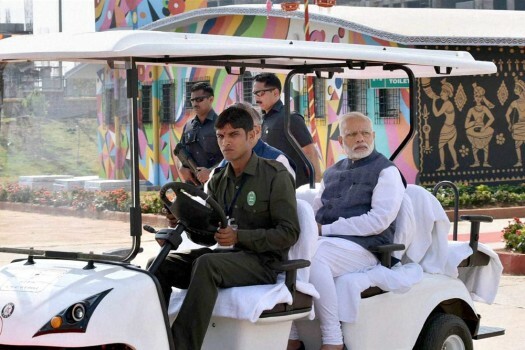 Prime Minister Narendra Modi visiting the Nandan Van Jungle Safari after its inauguration, in Naya Raipur. 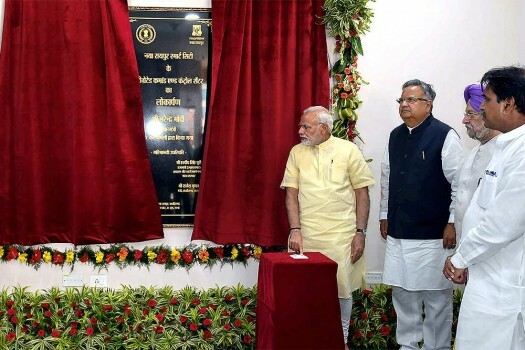 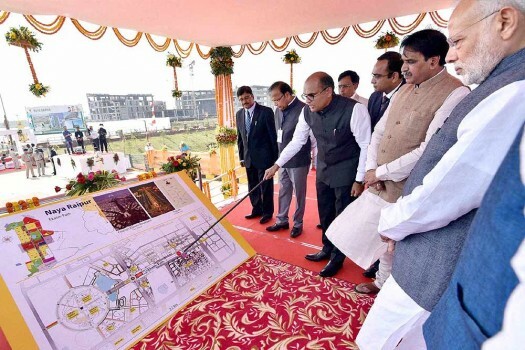 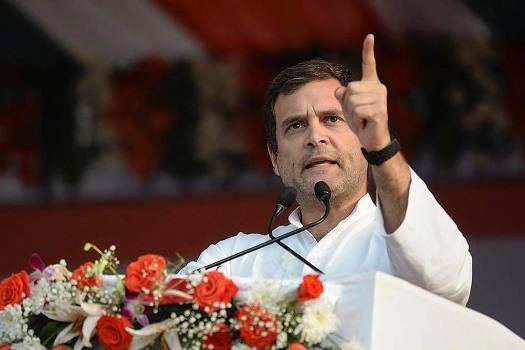 Prime Minister Narendra Modi being explained about Naya Raipur BRTS at its launch in Naya Raipur, Chhattisgarh.